My blogs are about real people. These people share their stories in hopes that their experience will help others. I think with all the stories I hear, and all the people that suffer, this is becoming a humanitarian issue. We have effective medications available. Too many people’s lives are being destroyed by this disabling disease. Medications are only available to a select few. Even then “Step Therapy” practices by insurance companies, block safer more effective treatments due to costs. Psoriatic arthritis affects more than 1 million Americans. Those numbers are staggering. This disease is under-reported and often misdiagnosed. PSA is often diagnosed after the onset of psoriasis, but does not necessarily occur in that order. Joint pain and nail involvement is often a sign you have psoriatic arthritis. Of course you should be seen by a rheumatologist or your dermatologist, who can evaluate your symptoms and diagnose you properly. This story is by my friend David Heath. He has both psoriasis and psoriatic arthritis. 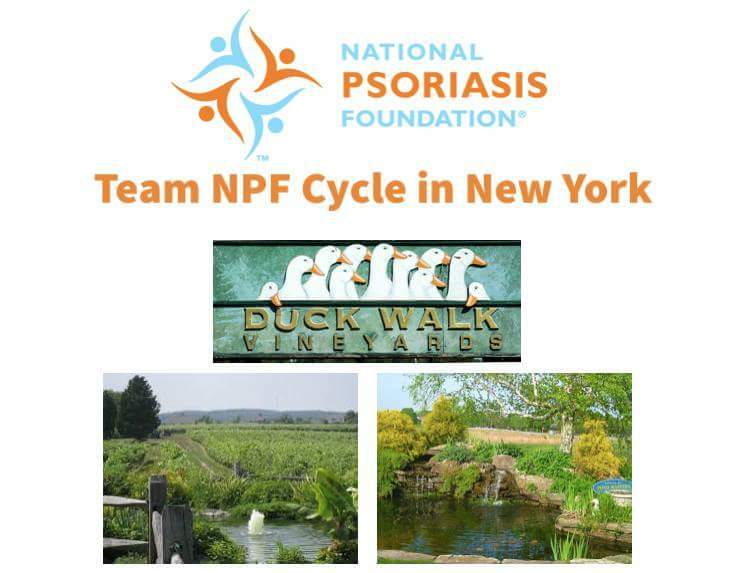 Read more about PSA by visiting the National Psoriasis Foundation website and by joining our support group Overcoming Psoriasis . This is an uncut version. Sorry this has taken a while to get to you but life, holidays, and a 2-year-old boy tends to distract. Anyway, my psoriasis first started in my scalp when I was around 11 or 12. This was back in the early 70’s and psoriasis was pretty much unknown especially here in Australia with the amount of sunshine. My parents, then the doctor, thought it was dandruff aggravated by wearing cricket caps in summer. Problem was, it got worse in winter. So I was told to use the usual dandruff shampoos like Celsun and the like. Except it kept getting worse. By the time I was 18 it was unbearable. Another doctor and she diagnosed psoriasis. I was prescribed a coal tar cream and to use T-Gel shampoo. The coal tar did nothing and T-Gel burnt like hell. I suffered with this moving to England then back to Australia. On return to Australia, I eventually found a hairdresser who’s daughter had psoriasis. Shen recommended trying Sebitar shampoo. The effects were almost immediate. This was the mid 90’s. Just when I thought thing were good, this insidious disease started on my chest and then the back. This was 1999. It started spreading across my torso. Slowly at first. In 2003 I moved to Johannesburg, South Africa. It kep getting worse. In about 2010, I went to a dermatological professor. He prescribe Methotrexate, Folic Acid, Daivobet, and Dovate creams. None of it worked. I was also not told that you should not drink alcohol with MTX (I like wine at dinner). In any event, after around 18 months, I stopped the MTX because of the expense and the psoriasis was getting worse. I moved back to Australia in December 2014 and the psoriasis kept spreading. I was referred to a Dermatologist in the hope of being put on Cosentyx or one of the new biologic agents. Unfortunately, under the PBS in Australia, you have to fail 2 treatments to qualify for biologic agents. The failed MTX qualified. The Dermatologist put me on Neotigarson with a steroid cream and coal tar solution. He also started me on pUVA. Almost immediately the Neotigarson side-effects kicked in. It was only when I looked up the side-effects I learned about the liver and kidney problems. I stopped taking it immediately. Also the creams as they were doing nothing. Fortunately/unfortunately the pUVA is working so I will not qualify for the biologics but is has almost cleared the psoriasis except for the skin discolouration. With the holidays I have had few pUVA treatments in the last 6 weeks and spots are coming back. I need to look at the Vitamin D and Probiotic supplements as I cannot rely on pUVA for the rest of my life (though it does help giving a sun tan). I also have Psoriatic Arthritis and Gout. Sometimes difficult to tell between the 2 though I am learning. With the gout I started a food and drink diary to tell the triggers. It worked well, I have pretty much defined them. If I start to get a gout attack, I hit it hard with Voltaren tablets. Usually 200mg in an initial dose knocks it out right away. If I leave it then it takes a while. Back to Psoriasis, what I have found is diet makes a difference. I have tried eating/drinking this and now eating/drinking that for periods of at least 6 months and it makes no difference. IMO, this thing has a mind of its own. Sunshine and salt water are the only naturals things that work. Somewhat confirmed by the pUVA treatments. So, I am now at the next stage in trying to keep this thing at bay. I hope that Vitamin D and Probiotics help. I shall see. What I have found is there is very little support and knowledge of the disease in Australia. I feel I want to start some sort of group/organization here but not sure how to go about it. Any advice would be useful. I would also like to be able to lobby the governments and regulators here to make medications more accessible and affordable. To do that, I believe, we need a sizeable number of sufferers here. Thanks for reading if you have made it this far. We hope you find these blog posts informative and helpful. If you do, please share and follow to help raise awareness. Add a comment if you would like to see more of this. Let us know how we can improve the quality of our site. I appreciate you taking the time to read this and your support. Thank you, thank you, thank you. The unconditional love of a parent is tested in my next article. Many people with good health take it for granted. We see this time and time again. It’s unnerving to hear about young adults abusing alcohol or drugs. If they only knew about the people who struggle each day with illnesses. Maybe those young adults would make better choices. Good health is a gift that should be appreciated. I remember as an adolescent we had a tv commercial that ran explaining, “This is your brain, This is your brain on drugs.” They showed a frying pan with two sunny side up eggs being cooked. The message was clear and concise. As a parent, you hope your children stear clear of drugs and alcohol and take care of themselves. The challenges of being a parent are tested each and every day until your very last breath. How about when you’re a parent of a child that has a chronic illness like psoriasis? This inspiring young mom’s daughter developed our disease at a very young age. I’m sure most of us that are living with this disease can relate with others who have the disease, but how about a parent? 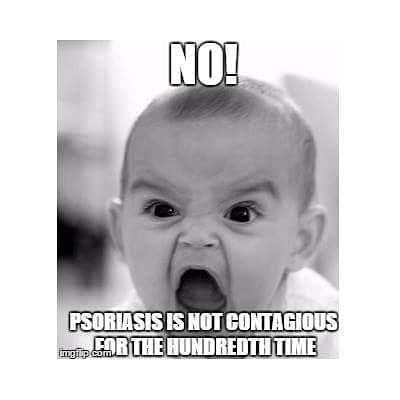 I know personally one of the reasons why I raise awareness is the fear that my children might some day be diagnosed with psoriasis and psoriatic arthritis. This is my greatest motivation to help the National Psoriasis Foundation find a cure. My next guest explains her unwavering love for her daughter with psoriasis and her quest to clear her. “Hi Todd, these are my 3 paragraphes. Maybe my English is a bit rusty. If I had to describe the relationship I have with my daughter’s psoriasis in 3 paragraphes, I would entitle them: awareness, “debut”, friendship. My daughter was diagnosed psoriasis at the age of 8. When she was 10 her skin was 100% covered, she lived many months of her life like an amphibious, hours in the bathtub with oil and warm water to have relief from the itch. In that period I often used to give her liquid food to avoid her cheek skin to rip while chewing solid food. I read so many documents, checked so many links, spoke to so many doctors, observed so many forums. In the meanwhile I washed so many blankets, hoovered so many floor square meters, changed so many pillowcases, sang so many sweet songs in the night, told so many funny stories, massaged so many harmful centimetres of a red itchy/scaly/loved skin, created so many new games and stories with dolls, food, plasticine, colours. An entire summer, an entire autumn and half of a winter together with my little, curly, frightened, wild ten years fighter. And during the following years, during her hard periods, my daughter’s behaviour “taught me” how to behave, what to say and, sometimes, when to keep in silence. Our entire family “has got psoriasis”. My daughter, my son, my husband, our dog. And me. The entire family has the strength to face it. I sai my daughter was wild, to my eyes, because in spite of her skin, she never renounced to have a walk, or to go shopping looking for wooden or metal materials for her lovely creations, to have an ice cream or to buy food to cook with her family. Every exit was a “debut”: She had all the eyes on her skin. But sometimes they were “magic” eyes. Once, in a supermarket, a security guard stopped us. I was ready to arguments but this very big man knelt down to my daughter face, touched her arms, and asked her: “It is psoriasis, isn’t it? Can you see how big and handsome I am now? When I was your age my skin was like yours today. Never forget you are lovely, and you will be a gorgeous woman, and if anybody bothers you here, please, call me, today I’ll bee your body guard.”. So many years ago, and I still cry when I tell or write this episode. I certainly know I can’t defeat psoriasis. But I certainly can improve my daughter’s quality of life. We met some horrible people, but we met soooooo many lovely human beings, We have now some good friends among doctors, but also among people who supported Camilla during her quarrel with her skin. I said “quarrel”, because it is the term she used once to describe her psoriasis. Once, when she was 10, I asked her how she could describe her psoriasis. She said: “To me psoriasis is like Daniele (her lovely, sometimes/spiteful brother): we quarrel, we fight, but he is not at all always the winner. I sometimes win. I know he is my family, I can manage it.”. Today my daughter is a lovely, 18 years old woman. She still fights with psoriasis, and sometimes she feels she is winning. To me, she wins every day. Her problem has become her resource”. Thank you Roberta for sharing your story about your lovely daughter. Your love for her is resounding. I know how difficult it is being a parent. I’m sure this situation doesn’t make things easier. Very powerful and inspiring story. I pray that we celebrate the cure announcement together. The landscape of the psoriasis and psa community is changing rapidly. In the last five years I’ve seen more progress than can be imagined. Everything seems to be in place for the development of safer more effective treatments. I wouldn’t be surprise in the next twenty years scientists discover a cure. I call it “snowball research,” mainly because as we move forward the amount of research being done for our disease is growing exponentially. I believe social media is the hill that is the downhill catalyst helping us generate inertia and velocity towards our goal. Many patients are flocking to facebook, twitter, instagram, pinterest, wordpress blogs, to share their stories and pictures. Many have become passionate and obsessed posting in support groups and participating in studies. “SO. I started noticing signs of autoimmune disease when I was young. Like 12-13 yrs old. Itchy scalp, eczema, hives all the time. Was diagnosed with mild psoriasis or eczema back then. Given tar shampoo, all the creams. Didn’t really work but skin didn’t get too bad. Went away to college in DC at 18. Skin started to get worse around then. I wasn’t healthy. Smoke, drank, didn’t eat well. Then when I turned 20ish I started to get severe joint pain and all sorts of skin worsening symptoms. Got diagnosed with Lymes Disease after a year or trying to figure out what was happening. Met a nutritionist – she started helping me look at my diet. During the Lymes treatment which was heavy heavy antibiotics for over a year my skin got terrible and my joints got terrible. Was put on methotrexate which caused me to bruise all over and feel terrible. Skin cleared up. Took myself off the methotrexate and my joints and skin rebounded into worse than ever. Found a Dr in Maryland (Dr Lawrence Green) – derm, who I really liked. Did Talconex, topicals. A course of light therapy with him. Took a while but my skin cleared. All the while working in the health industry and training people. My joints stabilized but were swollen a lot. I was in pain but was afraid to try anything after the methotrexate stint. Went vegan, went paleo, cut alcohol, had quit smoking, started managing stress. Kept reading about what to do naturally. Did another course of light therapy when it came back. Worked but not as well. Continued topicals. It came back a year later. I dreaded summer. I covered up. My hands were swollen. Bought my own light box … did that for a bout a year before I moved to Nashville in 2014 Oct. It worked. But it was getting hard to manage. Was blasting myself with light for over 30 min a day trying to get each body part. (smaller box). Ended up googling “new treatments” and reading about cosentyx and finding the facebook page. Asked questions on the facebook page – met everyone. Got excited. Seemed safer than other meds and more successful. I always feared meds bc I am so young. (Im 32 now). Found a dr – Dr. Jennifer Lee in TN. Talked to her. Called my old doc, Lawrence Green who is using Cosentyx for patients. Made the jump in May of 2015. Dr. Lee has been great. I cleared by mid June (started may 7th ish). My joints don’t hurt. My skin looks beautiful. It has been life changing. Been on one pen for the last three months. I’m inspired by Maria and her motivation to succeed. 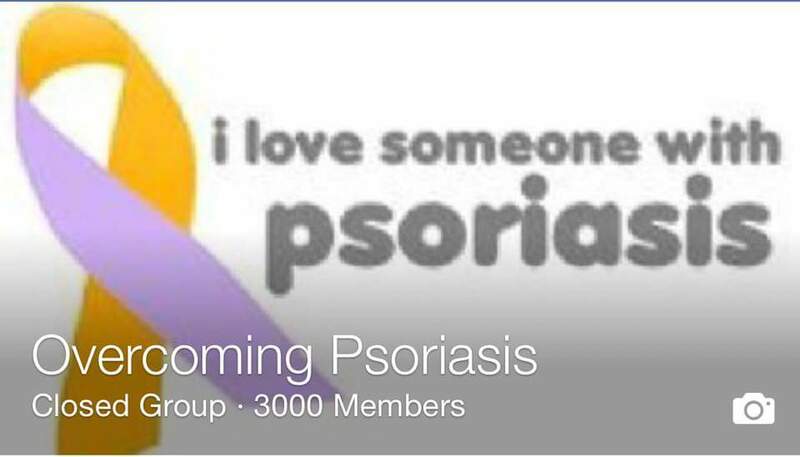 If you want the support and the information to help you succeed I encourage you to join our group Overcoming Psoriasis on facebook. While there you will gain helpful tips to control your psoriasis and psa. You will be able to read about others and their challenges. The group is closed so others who are not members will not see what is being posted or written. The group is protected by five experience admins. We have successfully directed people to doctors that specialize in our disease. We discuss OTC treatments and Home remedies. We are a one stop support group. Nothing is left on the table. Everyone is treated with dignity and we have strict rules and guidelines to keep the rift raft from trying to sell you overpriced “miracle cures.” Thank you Maria for being brave to share your story.